LAST WEEK WAS INTENSE. We doused ourselves in fake blood and pedaled to Duval Street, brutal head-winds be damned. We danced with tens of thousands of our new best friends until the wee hours (which totally counts as cardio, by the way). We donned tutus and togas and tighty whiteys as we bounced from party to party. We had more fun than a 2-year-old in a bounce house, but 10 straight days of partying can really take it out of you. Post-Fantasy Fest, most of us would love nothing more than to kick back by the pool with a frozen drink (paper umbrella included, natch) with nothing more than mellow tunes in the background. So perhaps it’s no coincidence that the week after Fantasy Fest is dedicated to Jimmy Buffett, the poster child of island living. 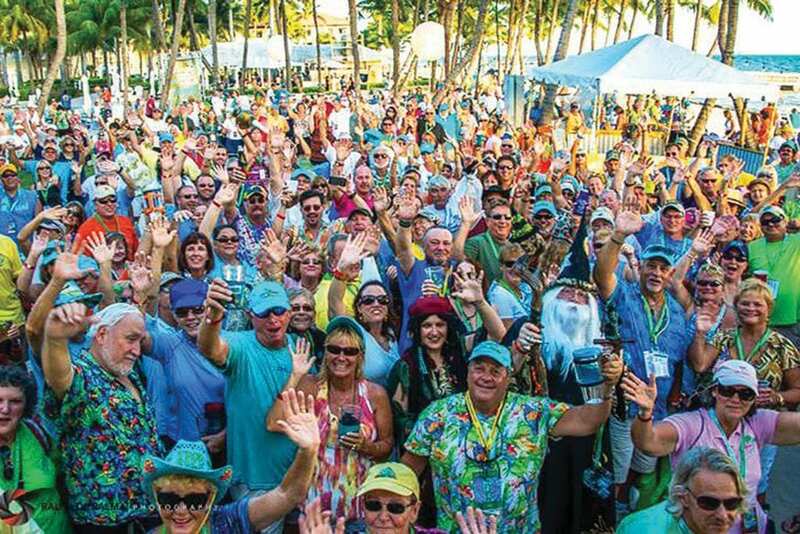 This year, the annual Meeting of the Minds — a five-day, Trop Rock-fueled festival that brings together Parrot Heads near and far — takes place Oct. 31-Nov. 4. For those of you who are a bit confused: If you’ve never been to Key West before and only know that Jimmy Buffett is some dude who really loves margaritas and blew out a flip flop that one time, Parrot Heads is the official moniker for lovers of all things Jimmy Buffet, including (and maybe especially) the island that inspired much of his music and probably more than a fair amount of his life philosophy. If you dig deeper than the whole Jimmy Buffett thing, the Parrot Heads actually hold themselves out as an organization whose purpose is to “promote the international network of Parrot Head Clubs as a humanitarian group sharing information and social activities for mutual benefit.” They may love to wear Hawaiian shirts and drink the island dry of Corona Light, but the Parrot Heads also raise money and volunteer hundreds of thousands of hours towards community and environmental causes across the country. In fact, over the past 16 years, the group has raised $50.5 million and volunteered a staggering 4,013,000 hours. Hard to believe that a group of rum-swilling Trop Rockers could be so motivated to do so much, but the Parrot Heads’ Key Westworthy dedication to having a great time is only matched to their fervor for competitive fundraising. 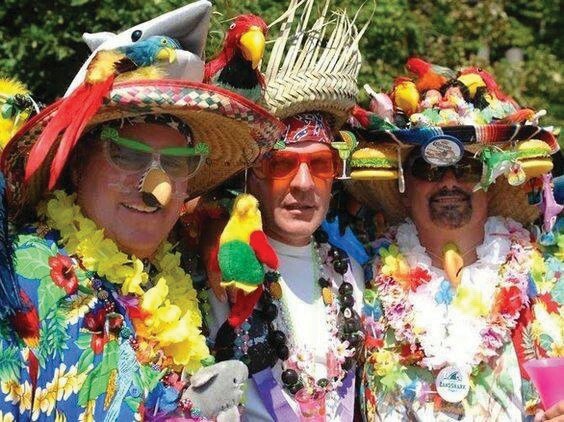 Like Deadheads, Parrot Heads are famous for their willingness to follow their leader from concert to concert, setting up elaborate tropical tailgating parties in the parking lots of whichever venue Buffett is playing that night. Heck, these fans are so organized and so dedicated that there’s even a documentary about their commitment to the man and the lifestyle. (Incidentally, “The Parrot Heads Documentary” had its very first national screening at 2016’s Meeting of the Minds, with two sold-out showings at the Key West Theater.) That a group best known for unloading dump trucks of sand outside concert arenas to create a beach in the middle of, say, Mobile, Al., are in actuality some of the most prolific charitable fundraisers to ever grace the beersoaked shores of Key West may come as a shock to some. Outside the Parrot Head community, the group has acquired a wild, party-centric reputation, one that assumes they are simply a colorful bunch of working-for-the-weekend types who live vicariously through Buffett’s Caribbean styled songs, which detail a life spent eating cheeseburgers in paradise, drinking margaritas and generally enjoying the kind of relaxed, beach-based life usually reserved for actors in Malibu rumcommercials. In the (very misguided) opinion of many people outside the community, Parrot Heads are dissatisfied people trapped in fluorescent-lighted cubicle office jobs who use Buffett’s music as a kind of escapism from the daily grind of their otherwise deeply un-tropical lives. And yet, while there is certainly an element of organized reverie to the Parrot Head community, the group — official nonprofit title: Parrot Heads in Paradise Inc. — exists to serve a much larger, more ambitious purpose: to advance the social issues of its international network of local Parrot Head chapters, membership to which requires participation in various charitable and educational activities meant to better each club’s respective community. In addition, the group’s Lone Palm Foundation awards grants to any Parrot Head members who have themselves experienced loss due to natural disasters. Local chapters might choose a different charity or two to fundraise for each year, but the group’s true pièce de résistance is its annual meeting in Key West, the storied Meeting of the Minds. To attend, Parrot Heads must first be independently verified to be in good standing with their local club, which usually means a member has completed a certain amount of community service and charitable work annually. For their 2018 meet-up, this year’s Meeting of the Minds will take over the Casa Marina hotel Oct. 31-Nov. 4. The event promises to be as raucous as it will be humanitarian. Attendees will continue the program’s 13-year reign as the largest blood drive in the Keys (last year, they collectively donated over 200 pints of blood) as well as participate in the annual Zonta Breast Cancer 5K run/ walk and maintain a decade’s worth of support for the Salvation Army of Monroe County by holding a children’s toy and school supply drive. 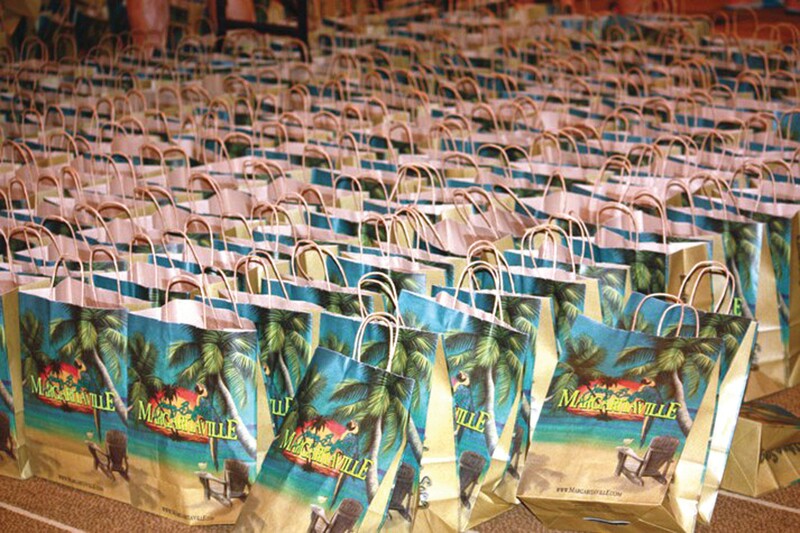 On the revelry side of things, they’ll attend street festivals, Buffett memorabilia auctions, raffles and beach parties. Of course, the event is really about music appreciation and this year’s 30-band lineup will perform concerts spread across town, featuring big names like CMA Musician of the Year Mac McAnally, rising stars Brendan Mayer and Aaron Scherz and members of Buffett’s Coral Reefer Band, as well as a few yet-to-be-announced surprise performances. When people hear “surprise performance,” they can’t help but hope one performer in particular might casually swing by, though there’s no word on whether the man himself will be making an appearance this year (not that there ever is — that man is as elusive as the Loch Ness Monster). Buffett has been known to gift his fans with last-minute performances (most recently in 2011 and 2015) though, of course, his extreme fame means event organizers must work around the clock to insure ample security is in place before his arrival. Talbert, a lifetime music aficionado, is a true Buffett fan, first discovering his music as a teenager in rural Mississippi while Buffett was attending college nearby. “We thought he was just a local boy done good,” he jokes, estimating that since then, he’s seen Buffett in concert more than 100 times across the country. Although this year’s Meeting of the Minds has barely even started yet, Talbert admits that he’s already working on 2019’s Meeting of the Minds (in case you missed out this year, registration for next year opens on Jan. 1, 2019). “I’ve already been thinking about what we’re going to do for the next two years,” he laughs, as the discussion turns toward the longevity of the Parrot Head clan as a whole. After all, Buffett turns 72 in December, raising the question of just how long he will continue to tour extensively and what will happen to the Parrot Heads when he stops. Apparently, though Buffett’s tour schedule has slowed considerably over the years, his fan base continues to grow. 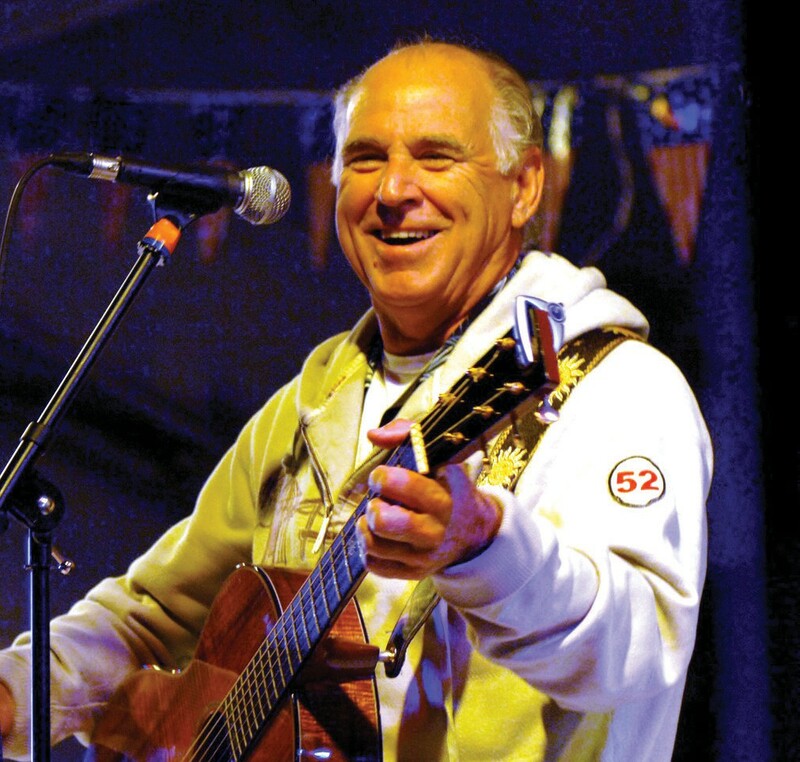 The lure of his music — and the charitable movement it has inspired — is fated to carry on long after Buffett’s ascension to that paradisiacal Margaritaville in the sky … though Talbert isn’t too worried about the group losing its leader to retirement any time soon. It’s late, and after an hour-long drive home from the office Talbert still hasn’t started packing for Key West. He’s got hundreds of emails to finish, secret performances to arrange, endless calls to make, a million tiny worries before his fellow flock descends upon Key West in their full colorful glory. And the most incredible part of it all is that underneath those Hawaiian shirts and despite their hard-partying reputation, the Parrot Heads are so much more than just music lovers who dream of an escape from the daily grind (honestly, don’t we all need an outlet sometimes?). They’re the definition of passion with a purpose (or, as they call it, “party with a purpose”). And if that’s not the best way to live, then I challenge you to tell me what is.